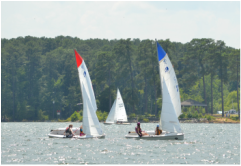 The Carolina Sailing Club promotes and organizes small sailboat racing in central North Carolina. 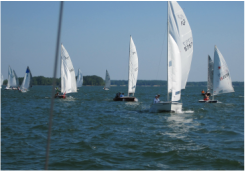 ﻿We organize sailboat racing for experienced and novice sailors at Lake Jordan and Kerr Lake. 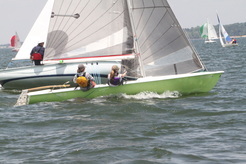 Our sailors race at local, regional, and national venues. We welcome and encourage junior sailing in our championship series and regattas with special incentives and awards. And, our social and coaching events are as much a part of our club as the racing.